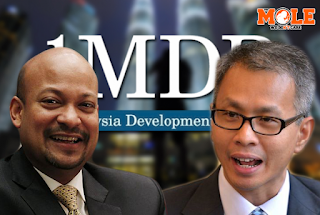 I wrote two days ago Why Tony Pua dislikes Arul. Well, maybe dislike is a mild word. The guy hates Arul's guts and I don't blame him. Politicians tend to think that they can have anyone for lunch. “I refer to the debate challenge issued by DAP MP, YB Tony Pua, to me. YB Tony has said “you could almost fall in love” with me. Then he called me a liar and rubbished my achievements. On Thursday morning, he said I should resign from 1MDB. On Thursday night, he asked to debate with me. It is clear that YB Tony is confused and contradicts himself. He does not know if he loves me or hates me. He says I should resign, then says I need to stay on and debate with him. This is despite many in the DAP, including YB Tony, calling me a liar, who is not worth listening to. So why debate, when you will not listen to, or believe, anything I say? Ironically, this must be the first time ever that a PAC “DAP judge” wants to debate with a “defendant”, after the proceedings are over and after a bi-partisan, collective, PAC Report has been issued. To avoid being embarrassed a second time, I hope YB Tony has first checked with the Speaker of Parliament before issuing this debate challenge. What is clear is that, despite him almost exclusively questioning me for 2 full days at the PAC, the DAP representative, YB Tony, still wants to spend quality time with me. Far be it from me, to deny YB Tony this pleasure. p.s. If Tony backs out from this - and I have a feeling he's going to - it won't be the first time. What is pua trying to prove, that he is a better debater? Arul and 1MDB will be crying like a baby for being conned by the two IPIC and Aabar executives. Soon they will be crying further for being conned, AGAIN, now by the PetroSaudi's executives. It's everybody else's fault except Arul and 1MDB. Let alone the guy who signed all the agreements.